Want to know what your local Seat dealer is really like? Not sure which is the best oil to use ? Problems with your car ? Want to meet other owners and enthusiasts ? Interested in performance, suspension, wheel or brake upgrades or modifications in general ? ...the answers lie in the club listed below. What are you waiting for ? Seatcupra.net is the largest Seat owner's club on the net, with over 16,000 members. One of the friendliest car clubs around, Seatcupra.net boasts a wealth of technical knowledge covering all Seat models and ages that is second to none. Membership is free, and there is an active social scene on local and national scale. SeatCupra.net Main Site: Seat News and Reviews, Seat Motorsport Features, Product Reviews and Guides, Seat Screensavers & Wallpaper for your PC, Chatroom, Webmail and more - it's all here. SeatCupra.net Forums: Meet lots of friendly fellow owners here. The level of technical knowledge, helpfulness of members and speed of response can't be beaten. 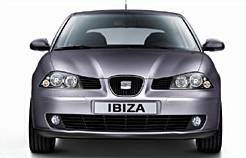 There are forums to cover all aspects of Seat ownership, for example, the Seat Ibiza Mk4 and Seat TDI forums cover most model-specific areas for Seat Ibiza owners - or why not join in the banter in the General Offtopic Chat forum ! Or checkout the full list of forums available. Disclaimer: This is an independent site, and is not affiliated to SEAT in any way. 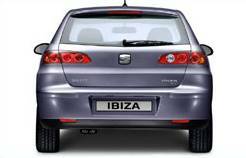 Current model specifications may differ from those described on this site. Visit the Official SEAT Website.